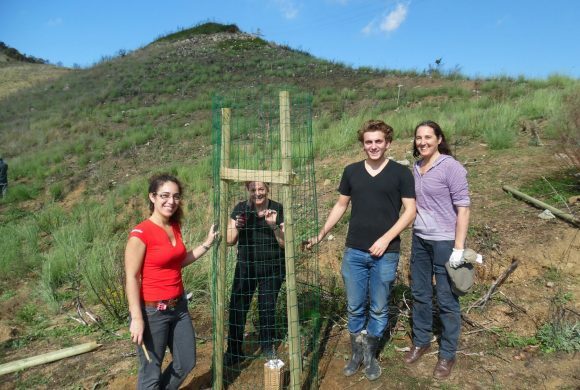 On the 15th of October the team of Volterra visited Alella, in the province of Catalonia, to assist and help all the volunteers by planting trees. Last June a forest fire burned about three hectares of pine and shrubs in this area, therefore it is very important to restore the natural vegetation. This day was organized by Francesc Giró, founder and general director of Accionatura and the team of Ecoherencia was hired to support the whole day. 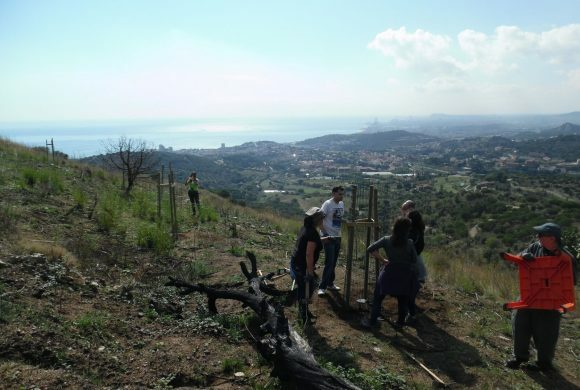 All the trees were planted by a group of more than 50 volunteers of all ages. We planted Cork Oaks; this tree has a certain degree of resistance against forest fires, because of the special bark (Cork). Besides planting the Cork Oaks, the children decorated 25 nest boxes for insectivorous birds (mainly coals) in the hamlet of Henares. It was a great day, with a very nice view. See below for some impressions.